We sometimes call our brains "our computer". The comparison is striking. Our brains also consist of many cells (neurons) that are connected to numerous cables (axons). These cables allow the brain cells to communicate with each other. They send out signals. In case of epileptic seizures, this communication is disrupted. EEG technology maps out this disruption. How exactly this happens seems to be very complex. In this blog, our technology expert, Dirk Loeckx, explains it clearly to you. What is an EEG, how does it work. What does Epihunter do with it? An EEG (electroencephalogram) measures the communication between the brain cells and summarises the result of that measurement on a graph. An EEG is therefore sometimes called a "brain film". An EEG taken in the hospital (clinical EEG) measures the brain activity through some twenty metal contacts (electrodes). The EEG visualises the voltage measured in a graph, with different lines for the different electrodes. A standard clinical EEG is composed of 16 lines. "Normally" the different brain cells talk together, each in their own way. The voltage between the various contacts in that case does not show any major ups or downs. As a result, there are usually few clearly recognisable patterns on the EEG. During epileptic seizures the brain activity is disturbed. Large groups of brain cells begin to send the same signal together. They discharge (epileptiform discharges) and emit sharp signals. These signals can be measured externally by their strength and uniformity. The EEG shows these discharges. 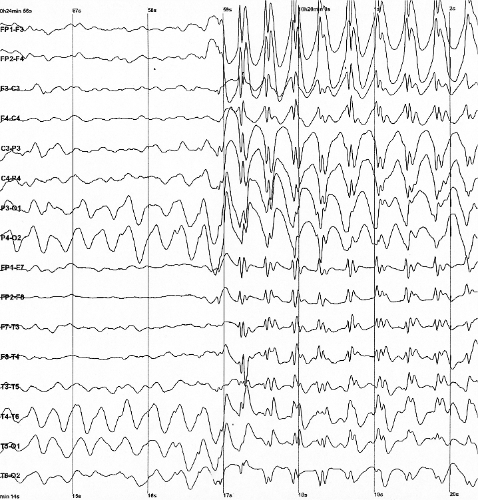 Moreover, the EEG records discharges that occur in between different seizures, although they not provoke a seizure. Hence, an EEG provides the neurologist with information about the discharges, both during and outside a seizure. This information is crucial for the neurologist to determine the treatment and medication. During absence seizures and seizures with a focal beginning and reduced awareness, the brain cells always send out the same signals. The EEG records these signals in the form of a peak that is followed by a wave movement (spike wave). If the spike wave occurs immediately on all lines of the EEG scan, a generalised non-motor (absence) seizure is taking place. If the seizure first arises in one zone of the brain, then we speak about a seizure with a focal beginning. The headset that Epihunter uses works like a clinical EEG, but on a small scale. The headset does not measure the brain voltage on the basis of twenty electrodes, but with 3 electrodes on the forehead (frontal). After all, Epihunter is not looking for where exactly in the brain the seizure occurs. We only want to find out if a seizure is happening or not. Exactly thanks to this simplicity, Epihunter can easily be used on a daily basis. The setup takes hardly any time and the headset is comfortable to wear. As said, with the headset, Epihunter wants to detect spike waves along the forehead. 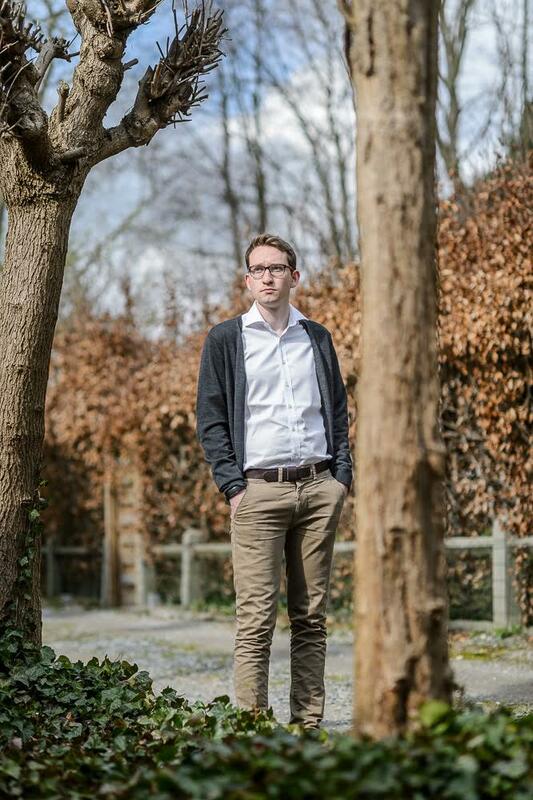 The detection itself takes place in the Epihunter smartphone app via an algorithm. An algorithm is a kind of "recipe". It shows the steps the Epihunter app has to follow to get an answer to the question: "Is this set of values a seizure?". If the algorithm answers that question positively, the Epihunter app will turn on a light on the Android mobile phone. Unfortunately, the detection of the spike waves is not easy. That is because the signals that the electrodes receive in the headset are very sensitive to external influences, such as blinking, chewing or touching the head. This difficulty makes it even more important for Epihunter to use the headset as often as possible with as many children as possible. The more test data we collect, the more accurate and faster the algorithm can decide, and the more optimal the headset and app can work. The more often Epihunter is used, the faster the light will turn on in the benefit of all users. That's our aim! Questions concerning this blog or another comment? Email us or leave a comment. You can read more about the different types of seizures types in our previous blog. Do you want to get Epihunter? Fantastic! You can find more info on the product and how to place an order here.